Welcome to NASET's WEEK in REVIEW. Here, we provide you the latest publications from NASET for you to read and download, as well as some of the most interesting issues that have happened this week in the field of special education. We hope you enjoy this publication. Feel free to send us articles for this publication or let us know your thoughts about the WEEK in REVIEW at <//a>news@naset.org. Please note: The PDF file is 2.2 MB - The direct link to AASEP for NASET members is under repair and the only access to this issue is the PDF file. Parent involvement in a tiered service-delivery model, or any service-delivery system, should be characterized by consistent, organized, and meaningful two-way communication between school staff and parents with regard to student progress and related school activities. Through this communication, parents are enabled to play an important role in their child's education by assisting in the learning and by being involved in decision making as it affects tier-level instruction to increase their child's achievement. The focus of this issue of the RTI Roundtable will be to discuss the importance of parent involvement in the RTI model. 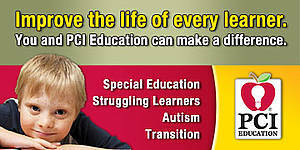 A learning disability usually has a history that can be traced to a child’s early years in school. Many schools use kindergarten screening programs to identify high-risk children. It is normally at this stage that some signs of a potential problem may be noticed. As the child progresses through school and the work demands increase, the symptoms of a possible learning disability may become more apparent. Once these symptoms are recognized, the child is usually referred to the child study team, a local school-based team, to determine whether a suspected disability exists. If the study team suspects that the student has a disability, a referral is made to the multidisciplinary team for a comprehensive assessment. This assessment will cover many areas, including reading, writing, spelling, math, and perceptual, cognitive, psychological and social skills. Other areas of information will be gathered as well from the classroom teacher, parent, and the student. If the comprehensive assessment indicates the presence of a learning disability, the child will receive special education services and supports. In most cases these services and supports can be maintained in the regular education setting through resource room, inclusion, or special education classes. The focus of this LD Report will describe some of the most commonly used measures for assessment of learning disabilities. Great results cannot be achieved at once; and we must be satisfied to advance in life as we walk, step by step.